An investigation into the use of photographic postcards from the 1950s through to the 1980s in British Columbia. Among many considerations, the project looks at issues such as memory and identity, place/community, nature/landscape, urbanism, tourism and leisure. A catalogue in conjunction with the exhibition was co-published by Presentation House Gallery and Arsenal Pulp Press, with text by Peter White. March 2, 2:15pm | Walking tour by Peter White on Saturday, followed by a reception. 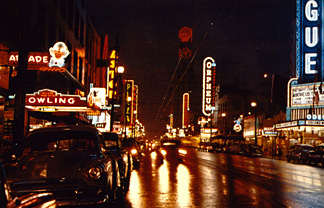 The 1996 exhibition was an investigation into the use of photographic postcards from the 1950s through to the 1980s in British Columbia. Among many considerations, the project looked at issues such as memory and identity, place/community, nature/landscape, urbanism, tourism and leisure. 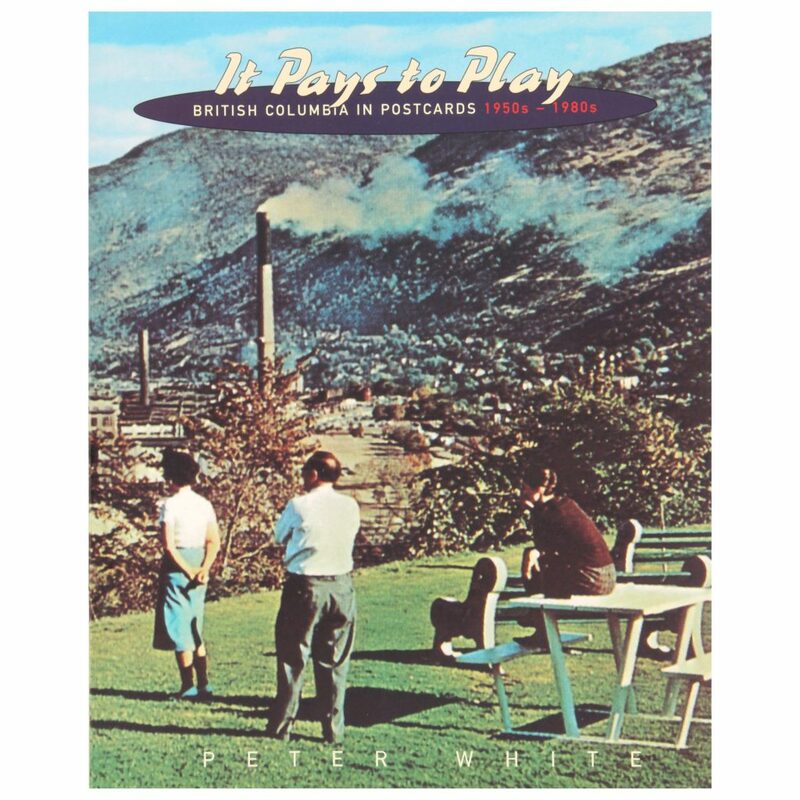 The publication, co-published with Arsenal Pulp Press, includes thematic sections on Landscape, Leisure, Urbanism, Industry and the Enviroment, with a introductory essay, It Pays to Play, by guest curator Peter White. The exhibition toured to the Dunlop Art Gallery, Regina; Oboro, Montreal; Kamloops Art Gallery, B.C; and Plug In Inc. Winnipeg. Designed by Alex Hass and printed by Kromar Printing, Winnipeg.